Honeywell’s continuing emphasis on putting the customer first means that we have developed a diverse array of security solutions in response to different business and personal needs. These are all designed for your convenience and security: our systems are versatile, easy to use, as well as being highly reliable and cost-effective. Access Control Systems - Honeywell is the leading developer of access control solutions. Our range of products vary from single door access control and standalone web-hosted access control to integrated systems capable of managing thousands of doors and alarm monitoring points globally. Intruder detection systems - Honeywell has pioneered many developments in this area. Our systems use the latest technologies and range from intruder alarms, control panels and motion sensors through to fully integrated intrusion and door control security installations. They also include environmental protection and life safety devices, and perimeter protection products including glassbreak, seismic and shock sensors. Video surveillance systems - The reliability, integrity and dependability of our video systems ensure that you can meet all of your existing and future security challenges with complete confidence. Our solutions range from IP and analogue cameras and domes, and digital and network video recorders, through to intelligent video analytics and sophisticated video management systems. 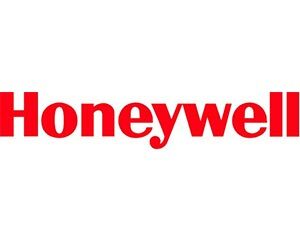 With over $38.8 billion USD worth of sales, 1,300 sites in 70 countries and 132,000 employees, Honeywell is a fortune 100 company with far reaching capabilities.